What Is On The Syllabus for Florida State's Class On How Not To End Up Like Bobby Petrino? 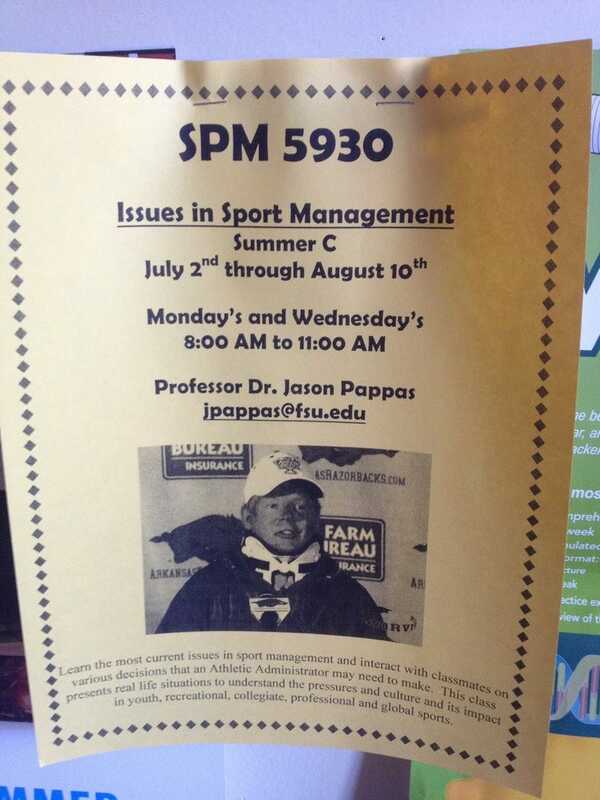 It's an important class for college students these days, so thank goodness for Dr. Jason Pappas. The course is named "Issues in Sports Management," or perhaps more accurately "How To Avoid Crashing Your Motorcycle While Joyriding With A Younger Female Employee Who Is Not Your Wife." Its course code SPM 5930. It looks like the class started last week, but maybe interest is such that they will bring it back for the fall semester. It's a good bet; there are currently two sections with 40 seats a section. But what's on the syllabus? The Motorcycle Diaries? Actually, this is a class for jocks, so maybe something a little lighter.